Concept designs are more than mere fantasy or idle musing – they drive real technological change, keeping us here-and-now humans looking ahead toward a never-certain future. Hover and click below for more details on each design. 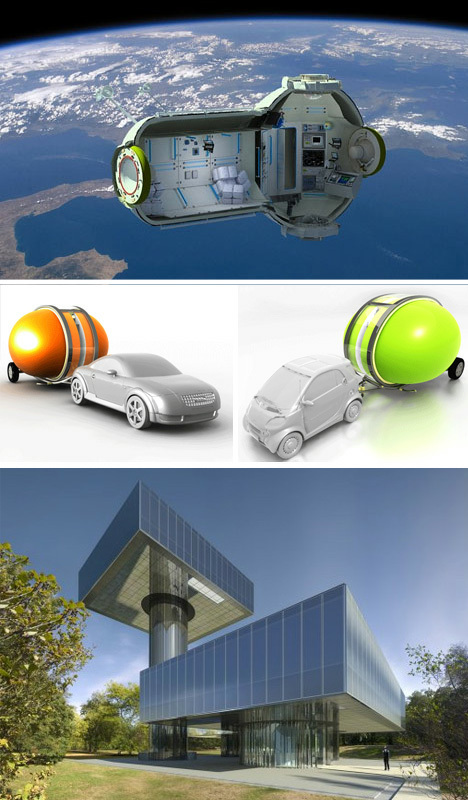 Many concepts are already in the works: cars that plug into rather than park next to homes, mobile pods for off-the-grid living and three-dimensionally-complex objects that only a few years ago were hard to model on a computer, let alone construct in real life. 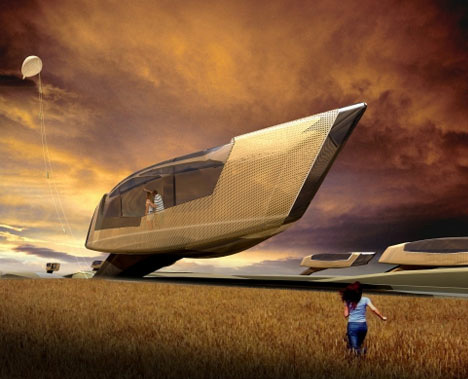 From aquatic towns to orbital hotels, the above articles cover unbuilt wonders that test the limits of curry technology but also provide something for the future to look back on as a benchmark. It is always hard to say whether they will seem dated or visionary ahead of time.